Businesses around the state are reporting strong fall numbers after a warm, dry September, giving the state's $5.5 billion tourism industry a boost. The fall colors may have been a bit slow in arriving, but leaf-peepers and other visitors have come to Maine in droves this September and October. And businesses tied to Maine’s $5.5 billion tourism industry aren’t complaining about the longer season. 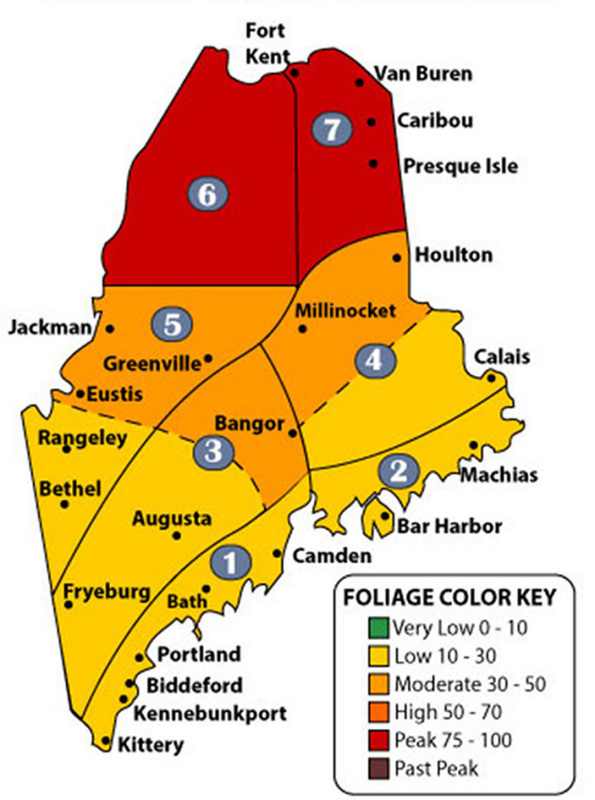 Far northern Maine just hit “peak foliage” – with 75 percent to 100 percent of trees in full fall regalia – last weekend, which is two weeks behind last year and one to two weeks later than normal, according to the Maine Department of Agriculture, Conservation and Forestry’s fall foliage website. Parts of western Maine also were nearing peak conditions Monday, while trees in southern and coastal Maine were beginning to “pop,” with pockets of high coloration. 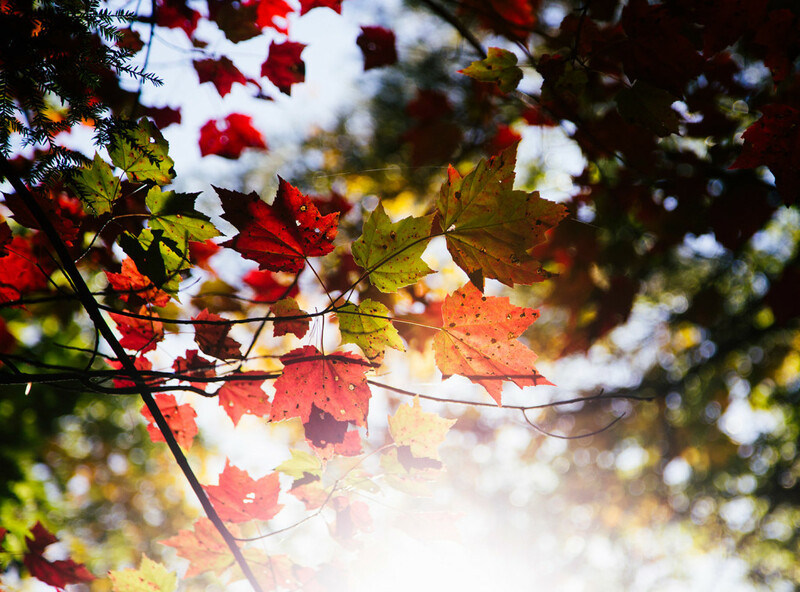 Leaves change colors as trees slow and then cease production of chlorophyll – the pigment that makes leaves green and is key to photosynthesis – in response to fall’s longer nights. The vibrancy of the color display depends on a host of factors, particularly moisture levels and that ideal combination of warmer days and cool, crisp nights, which produce higher sugar levels in the leaves and, in general, brighter colors. 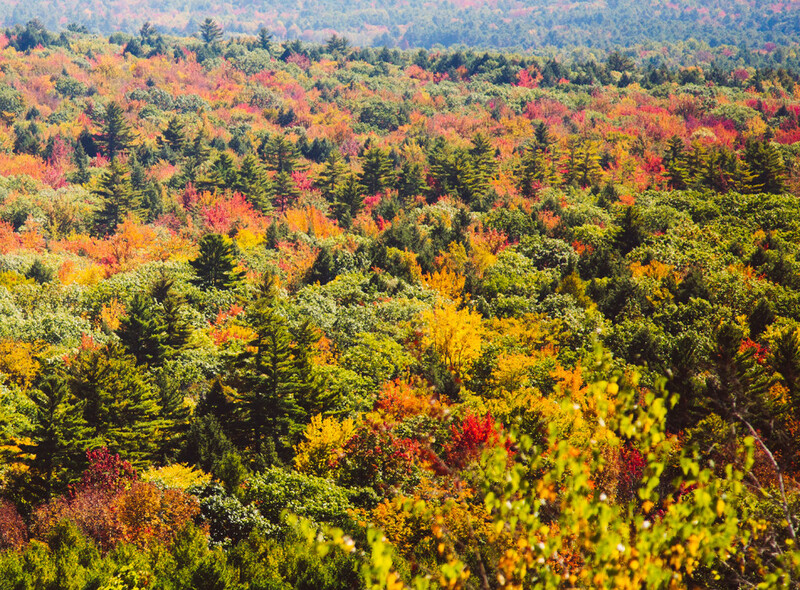 Late-September rains combined with recent cooler nighttime temperatures may have given trees in Maine an additional color boost. 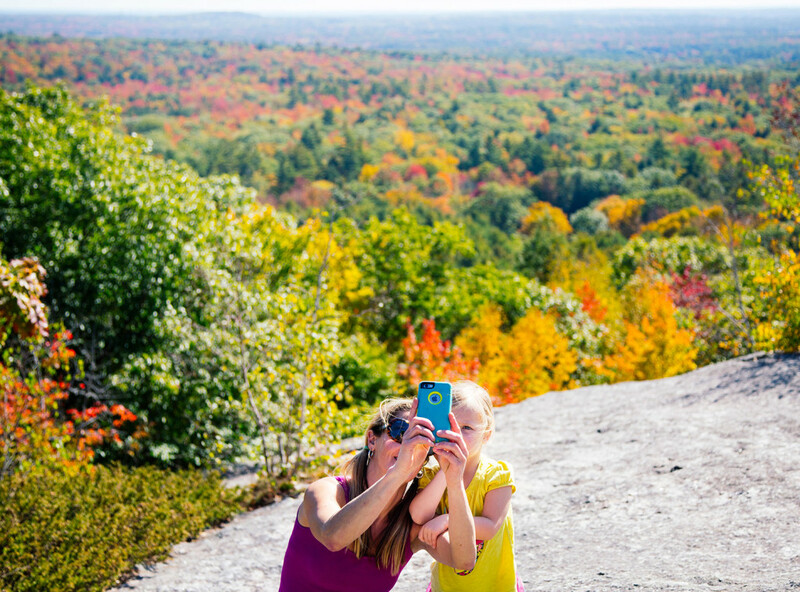 The late changeover follows an unusually warm and dry September that allowed visitors to enjoy summertime activities at a time when northern New England is usually transitioning to fall. According to Dugal, that helped many businesses more than make up for slower business caused by a later-than-usual Labor Day weekend. The Maine Turnpike Authority reported high traffic volumes Monday in Wells and York to the New Hampshire border as Columbus Day visitors headed home. But plenty were still out Monday taking advantage of the federal and state holiday. 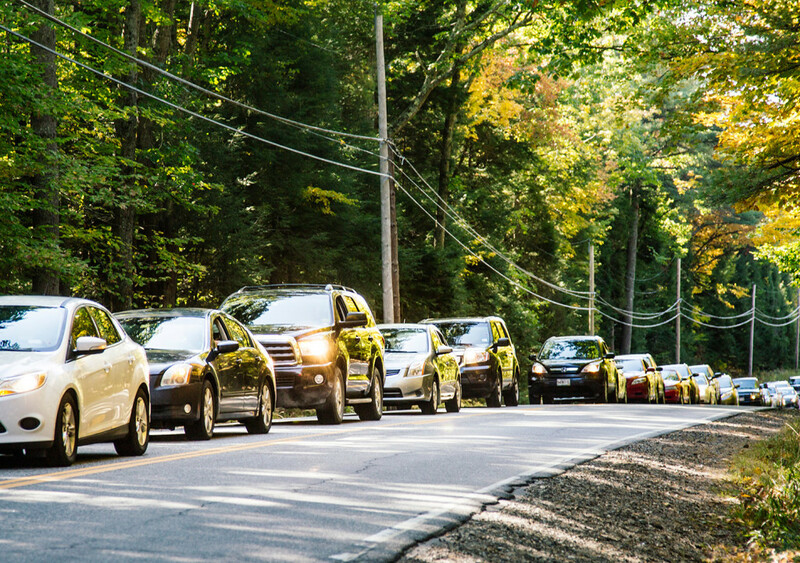 At Bradbury Mountain State Park in Pownal, cars were backed up along Route 9/Hallowell Road on Monday, as well as on Sunday, waiting to get into what has become one of the most popular spots for leaf-peeping in Maine’s state park system. 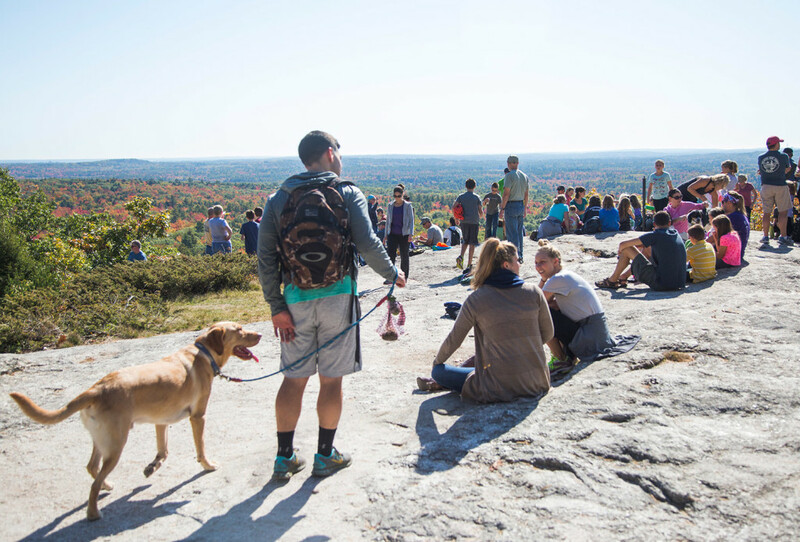 Park manager Fritz Appleby estimated that about 1,200 people visited Bradbury Mountain on Sunday – double the usual amount for a good-weather Saturday or Sunday – and he expected Monday’s numbers to be about the same. And although trees were definitely showing their colors at the park – located between Portland and Lewiston – Appleby said they had not reached peak yet. Among the crowd on the summit of Bradbury Mountain was Wolfgang Nuecher of Hanover, Germany. Nuecher and his wife were visiting the park with his brother, Christoph Nuecher of Boston. 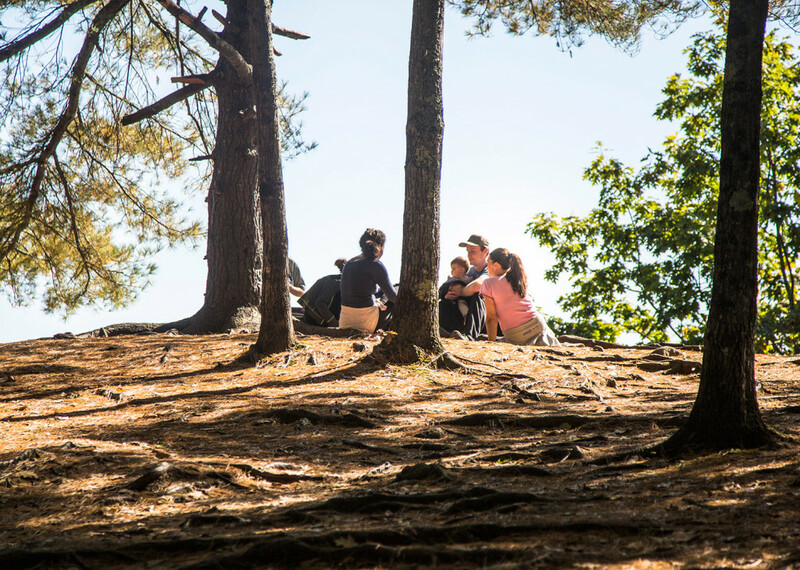 “This is the first time we’ve all been up here, and the first time in Bradbury park. It’s quite beautiful,” Christoph Nuecher said. Out in Maine’s western mountains, fall’s later arrival didn’t seem to be hurting business at the Rangeley Inn & Tavern, a turn-of-the-century hotel that was sold out for the past two weekends. “The fall has been very spread out, so everybody who has come up has been able to see some foliage,” said Travis Ferland, the inn’s owner. Ferland said he has quite a few reservations during the week ahead even though business in town typically drops off after Columbus Day. Roughly 120 miles to the east, the 36-room Lord Camden Inn in downtown Camden was booked solid for four straight days around the Columbus Day holiday weekend. The leaves have yet to hit peak in Camden, and business looks strong heading further into October, said hotel supervisor Jennifer Dennison. Tourists spent an estimated $5.5 billion in Maine in 2014, up 4.5 percent from the year before and 31 percent over 2010, according to figures compiled annually by the Maine Office of Tourism. July and August have long reigned supreme in terms of revenues. 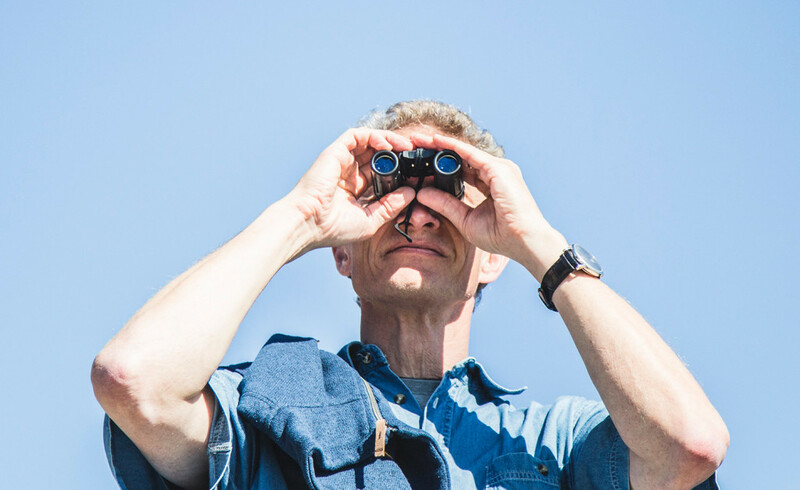 But changing demographics – particularly the growing contingent of those 55 and older – means that September is emerging as a much stronger month in Maine than it was historically. For instance, September restaurant sales have edged out June sales in Maine since the recession. The 2014 tourism season was “incredible,” so Dugal said 2015 may not top last year. 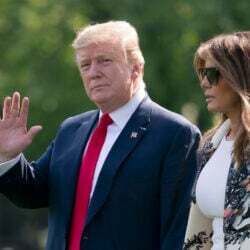 But fall’s lazy arrival means that many businesses were able to stretch at least another week out of the peak summer-through-fall tourism season. 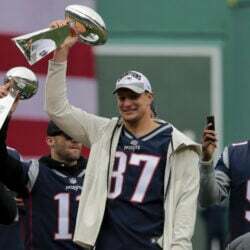 “All in all, it’s been a good year,” he said. Staff Photographer Whitney Hayward contributed to this report from Pownal.